﻿ Ohio Craft Museum - Ohio. Find It Here. 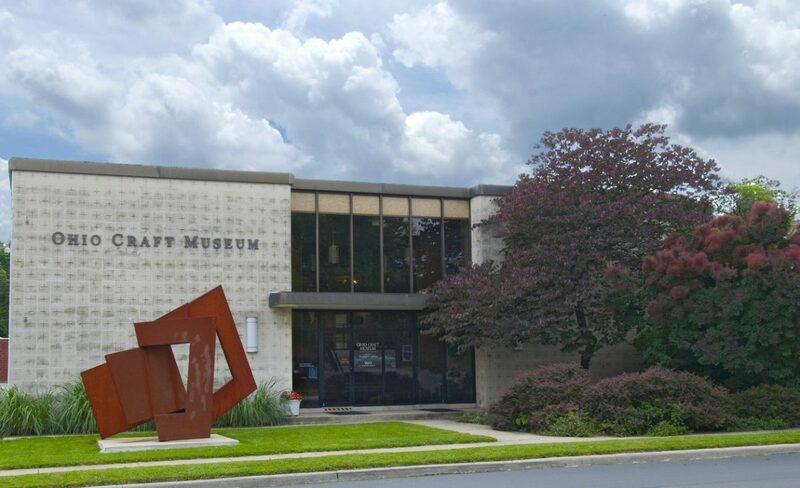 The Ohio Craft Museum presents 56 exhibitions each year. Exhibitions focus on fine craft mediums, including ceramics, metal, glass, fiber and wood, by artists from across the country and around the world. A gift shop offers handcrafted work by artists from across the country. The museum offers educational programs for children, teens and adults, and professional workshops for artists. We reach out to the community by offering tours to community groups, schools, colleges and senior-citizen centers, among others.